We always hear the phrase: “What’s in my makeup bag,” but what about our skincare bag? I can definitely say that 2018 has been more skincare focused for me from my face to full body, including waxing, exfoliating, moisturizing and hydrating. With that being said, let’s get started with my TOP 15 Products that are in my Skincare Bag! (BTW, you can get this cute bag HERE)! No facial cleansing is complete without my Luna Fofo. This baby measure’s hydration and provides and overview of my skin’s overall health! How cool is that!? I don’t know about y’all, but I like to do two face cleansing sessions to really get into those pores, especially after working out (Phew…)! BENEFITS: Lightweight, Oil-free, Instant Hydration, Active ingredient: Coffee!!! Let me tell you… I cannot walk out of the house without wearing this Duo! I’m serious - Makeup or no makeup; it doesn’t make a different. It WILL show if I used that eye cream and moisturizer or not. If you’re wanting to "‘LOOK” not be, but “LOOK” like a morning person, I highly recommend this Duo. It’s active ingredient is coffee, and I swear, makes me look just as awake as my morning cup of coffee makes me feel! VICHY’S MINÉRAL 89 is a God Send! 89% is mineralizing Thermal Water moisturizer, which gives that boost of hydration for that vibrant glow. I won this product from Influenster after reviewing one of the first voxboxes from this brand (If you haven’t signed up with Influenster and you LOVE reviewing products and receiving FREE products, DON’T PLAY YOURSELF)! It’s completely free with no catch. Just sign up HERE, and start creating your profile, and you’ll have the opportunity to receive and review everyday and luxury brands based on what you like (and don’t forget win prizes, too)! back to the product: I love using this before using my Origin’s Duo, as it quickly absorbs into my skin like a serum. So If you’ve been looking for a product to give you a plump, firm, and hydrated face, you’re welcome! I know we’ve been talking about my DAILY products, but let’s move on to exfoliation. As someone who is in the beauty industry, I cannot express enough how important it is to exfoliate your skin (not just your face, but your ENTIRE BODY)! This particular face exfoliant is to be used once or twice a week. It is on the pricier side, but it is so worth it! Plus, a little goes a long way! They are kidding when they say “intensive,” so much that they have an ExfoliKate Gentle version if you have super sensitive skin. I have sensitive skin, but I can manage this exfoliant, plus it gives amazing results! I never even heard of this product until I received it in my FabFitFun Winter Box 2017 (which you should totally subscribe to, BTW), and I am HOOKED! I wash my face, apply the scrub, massage onto wet skin for 30 seconds, leave on for a minute or two, then I rinse off the scrub. It gives off a tingly sensation when it’s on my skin, which lets me know it’s working, and I notice a big difference every time I use this exfoliating treatment. My pores definitely appear smaller and my skin is so much smoother! Long name, huh?😂 This is another voxbox I received from Influenster (that included another product we’ll talk about shortly) to review for Esteé Lauder’s launch for the modern Estée Edit, and I must say, I was impressed. The name in itself says it all. It will literally wipe those bags away, honey. It’s like waking up and BAM!- A brand new woman! I use this directly before bed, and wake up looking and feeling refreshed! UDATE: As I was writing this article I just saw that Estée Edit has been discontinued, and I AM PISSED. I do see people still selling it; so if you can get your hands on this and my next product, DO IT! 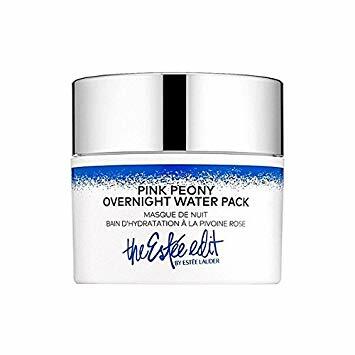 The Finale to my nighttime skincare regimen (for now 😭) is The Estée Edit Pink Peony Overnight Water Pack.I love this cream because once I’m doe with everything else, I can apply this all over my face, put on my sleeping mask, and go to Dream Land. The next day, my skin feel so hydrated and smooth! You didn’t think I would leave you hanging like that with my last two products without AMAZING backups? 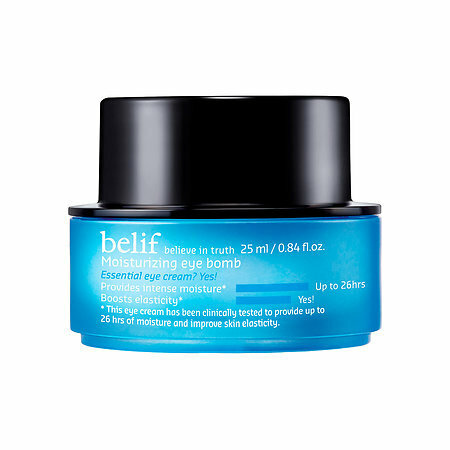 I LIVE for the Belif Moisturizing Eye Bomb, as it is amazing and the rumors of flawless makeup application are TRUE! It is also clinically proven to hold moisture for 26 Hours. As a firm Belif-er, I can attest to this! This moisturizer is literally Da Bomb! Mainly, my better half, George, uses this moisturizer (I know, I’m so proud to have a man who loves taking care of himself)! This is his Go-To, mine would be Belif The True Cream - Aqua Bomb. As you can see, we’re Belif Fans! 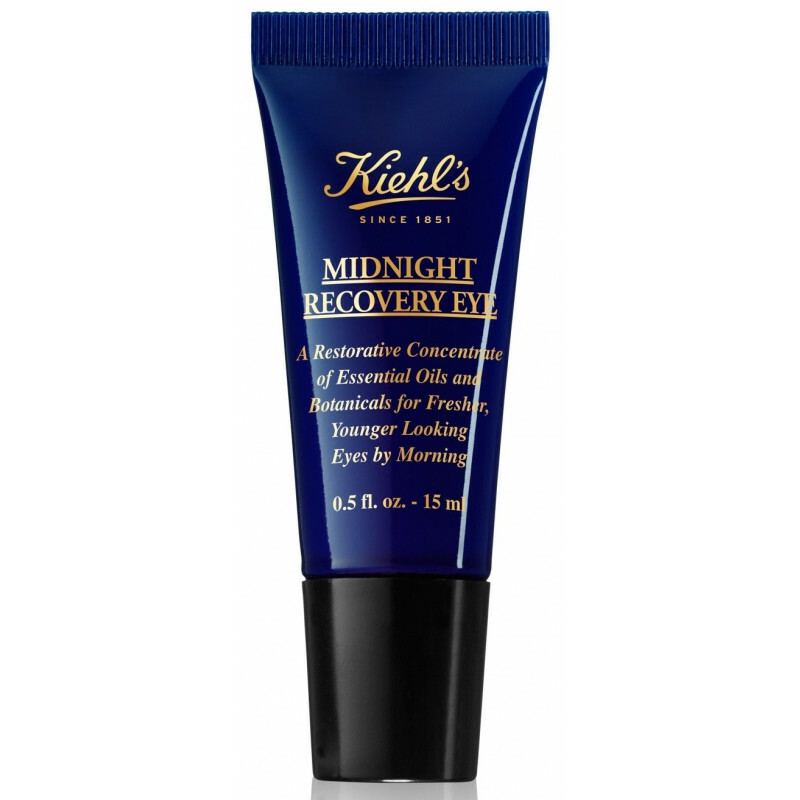 This eye cream is literally a miracle in a bottle! Now because this one is more on the pricier side and I only have that 0.1 fl oz sample size from the Play! by Sephora Box, I only use it for emergency situations like “OMG I have mad bags under my eyes” type situations. I swear, once I run out of my Estée Edit Late Night Eraser and the rest of this Midnight Recovery Eye, I will be at Sephora’s door so fast. I. WILL. BE. THERE. IT’s that good. Recently I was on a “Makeup Break” where I just didn’t feel like wearing anything. I felt more confident with my bare face since I started getting my lashes extensions done at Amazing Lash Studio (if you’re ever in the Tampa, FL area, stop by the Carrollwood location, mention my name, and receive $10 OFF your set)! Now I can roll out of bed and say “I woke up like this.” My No-Makeup days give me the opportunity to truly focus on my skin, and this Mineralizing Thermal Water Spray helps me keep my face refreshed throughout the day. Beauty Tip: Spray your face before applying makeup, and spray your sponges to wet them with the thermal water! In the beauty industry, you know there’s always a new trend around the corner, and this one is Derma Rolling! Derma Rolling is a new addition to my skincare regimen. At fist, I was terrified to buy and review something that requires me to poke myself with needles. I soon realized it’s not bad at all, and you just need to READ THE INSTRUCTIONS and WATCH VIDEOS so that you don’t use too much pressure (like I did my first time) and feel more soreness than usual (it’s common for your skin to feel sore the first few times). So far, I’ve had a pleasant experience with my roller kit after using it for only one week (2 at-home sessions)! I can filmy skin tightening already! I can’t wait to see how my hyper pigmentation and acne scaring improves! This has to be everybody’s favorite regimen of them all: The “I’m not doing anything else on this list except #15 because it does it all!” This is me exactly when I get home from a long day of work, and I just want to come home, wipe my makeup off with little to no effort until it’s time for my nighttime regimen. 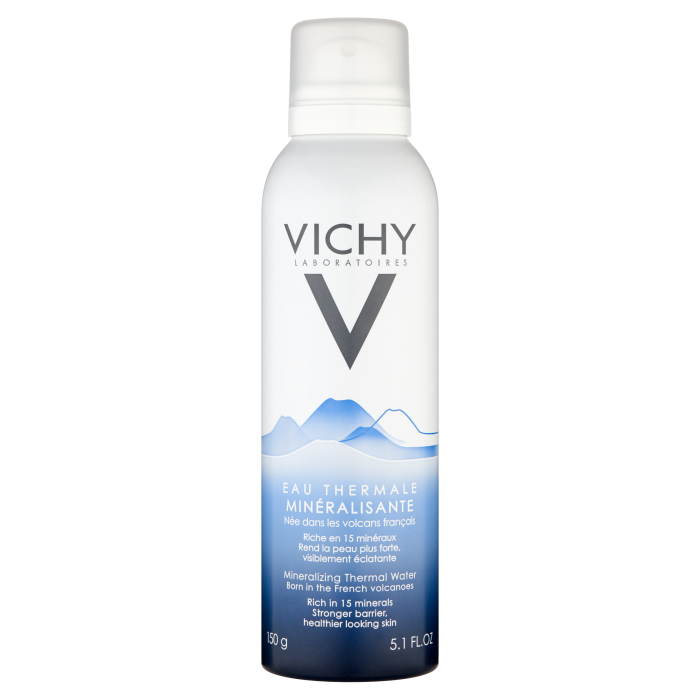 Vichy’s Micellar Water in the perfect ‘Lazy Girl’ regimen out there! Who wound’t want a 3-in-1 cleanser!? Welp, there you have it! Now you’ve seen my skincare bag! I hope this was helpful, and hopefully you have a new Must-Have from this list! Want Full-Sized brands in a subscription box? Sign Up for FabFitFun and get $300-400 worth of products in each box for only $49.99 per/quarter! Use Code: FALLINLOVE to get $10 OFF your Fall 2018 Box! Let Us Know What’s in Your skincare bag! CASELY's Monthly iPhone Cases Will Have You Wanting MORE! Play! by Sephora Box - October Edition | Peace. Love. Chic. We love the Play! by Sephora Boxes! We've been receiving them since the beginning of this year, but have failed to post about them (Whoops)! Many of you have asked us to share what we got, so here's a late post for October's box "The Cool Cut." What we love about about the more recent Sephora boxes is that they stopped putting confetti in the boxes, and started placing the products in these adorable bags with sayings on them! Gotta love the "Lipstix & Chill!!" We can also keep each bag to store more makeup in HEHE!! SMASHBOX | Always on Matte Liquid Lipstick - "Driver's Seat"
This matte lipstick lasts eight hours and is made with a water-resistant formula! NUDESTIX | Intense Matte Lip+Cheek Pencil - "Belle"
This multi-purpose stick is rich in color, non-drying, and lasts up to six hours! This is a K-Beauty MUST-TRY! It's a 5-in-1 cream made with egg extracts and collagen fiber and it works as a serum, priming moisturizer, eye cream, neck cream, and sleeping mask! This non-abrasive skin peel gently peels away dead skin cells to reveal a brighter refreshed skin complexion! This lovely product moisturizes, detangles, smoothens, and conditions your hair! It also makes the perfect heat protectant when styling! We're all about some TOM FORD!! This fragrance is a bright warm with hints of spice and floral, like a summer take on the Tom Ford Black Orchid! Want your Play! by Sephora Box!?!? Visit Sephora, and sign up TODAY! !